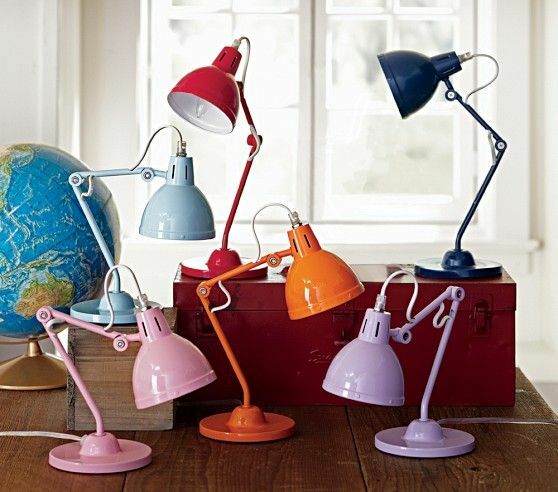 Little ones will love the way this bold and modern lamp base updates the look of their space. Shaped like a tripod, wood and steel accents are cool finishing touches. DETAILS THAT MATTER Made of maple wood and steel. Finish is hand-applied in multi-step process. On/off rocker switch. Features a polarized plug. 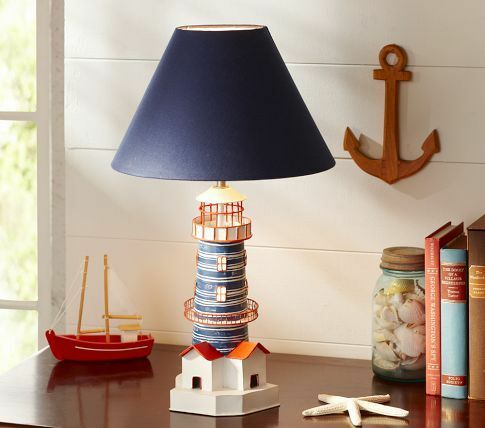 Shown with stitched stripe shade; lamp shade is sold separately. All our shades are designed with an UNO fitter for securing shade to base. KEY PRODUCT POINTS Dry UL-listed. Light up her space with this eye-catching design. The stacked acryclic balls add artful dimension to the metal base. DETAILS THAT MATTER Expertly crafted of metal and acrylic. Lamp shade is sold separately. All our lamp shades are designed with a UNO fitter for securing shade to base. KEY PRODUCT POINTS 5″ diameter, 14″ high Light bulb is not included, except for CFL bulbs. Bulb (1): 60 watts, type A (not included) On/off switch. Make a grand slam in kidsâ rooms with a lamp crafted after a professional baseball bat. DETAILS THAT MATTER Crafted of solid oak and finished by hand with leather taping. On/off switch. Lamp shade is sold separately. 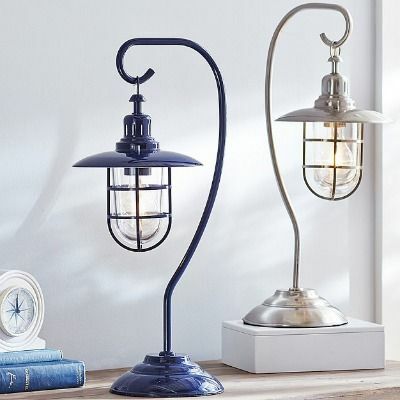 KEY PRODUCT POINTS Lamp Base: 6.5″ diameter, 19.5″ high Bulb (1): 60 watts, type A (not included) UL-listed. Spot clean. Imported. This sturdy, ceramic and iron lamp base brightens up their space with cool, geometric design. DETAILS THAT MATTER Made of ceramic and iron. Finish is hand-applied in child-safe, water-based paint. On/off in-line switch on lamp cord. Features a polarized plug. Shown with french knot shade; lamp shade is sold separately. All our shades are designed with an UNO fitter for securing shade to base. KEY PRODUCT POINTS Dry UL-listed. Bulb: 60 watts, type A(not included). Do not exceed specified wattage. Imported. Light up their space with this adorable lamp base shaped like a horse. DETAILS THAT MATTER Made of ceramic and iron. On/off in-line switch on lamp cord. Features a polarized plug and clear cord. Shown with cameron shade; lamp shade is sold separately. All our shades are designed with an UNO fitter for securing shade to base. KEY PRODUCT POINTS Dry UL-listed. Bulb (1): 60 watts, type A (not included). Do not exceed specified wattage. Spot clean. Imported. 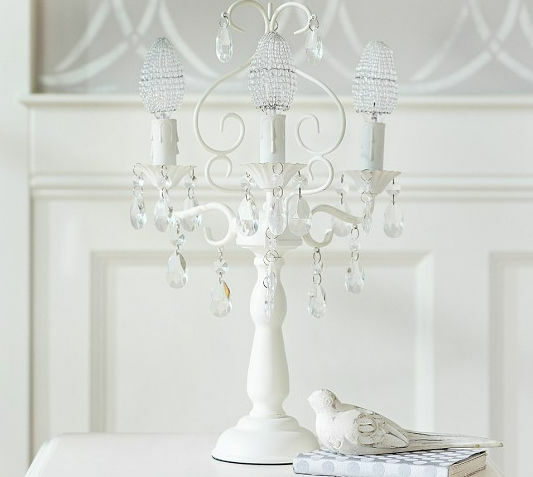 Featuring a graceful candlestick shape, our clear base absorbs the light for a pretty glow. Itâs also extremely versatile, so itâs easy to match with a variety of furniture collections and shades. DETAILS THAT MATTER Base is crafted of clear acrylic and polished steel. On/off switch on base. Shade is sold separately. All our shades are designed with a UNO fitter for securing shade to base. 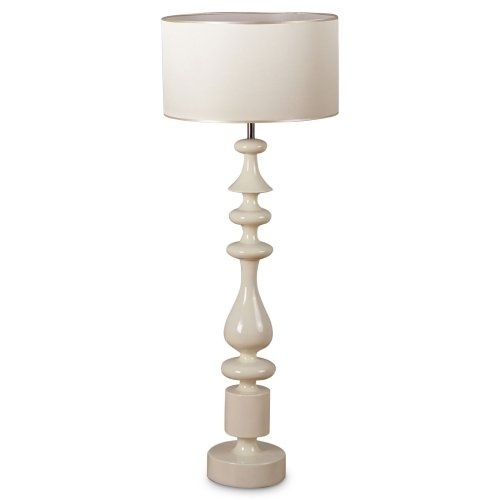 KEY PRODUCT POINTS Lamp base: 5″ diameter, 15. 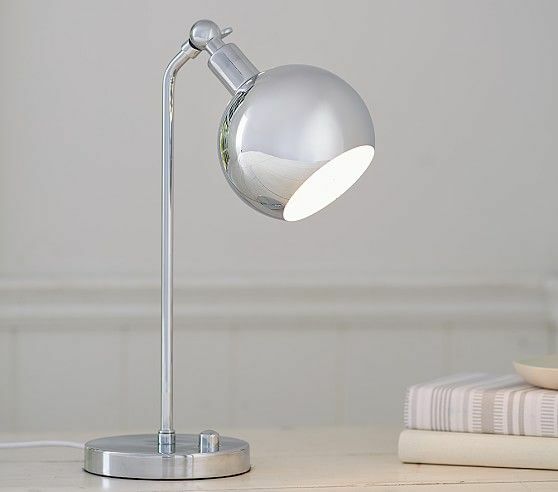 5″ high Light bulb is not included, except for CFL bulbs. Light up their space with a lamp, shown with a gingham shade, that’s truly all heart. DETAILS THAT MATTER Made of resin, acrylic and iron. On/off in-line switch on lamp cord. Features a polarized plug. Shown with gingham shade; Lamp shade is sold separately. All our shades are designed with an UNO fitter for securing shade to base. KEY PRODUCT POINTS Dry UL-listed. 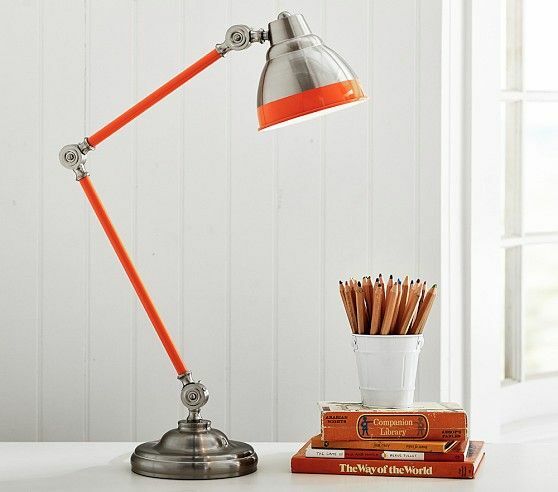 Bulb: 60 watts, type A (not included). Do not exceed specified wattage. Spot clean. Imported. Delicate French knots on the shade adds pretty texture and color to this graceful, antique-inspired lamp base. DETAILS THAT MATTER Lamp base is crafted of lathe-turned wood. On/off switch on lamp base. Lamp shade exterior is made from cotton. Exterior of shade features colorful French knots. Interior of shade is made of polystyrene. All of the shades are designed with a UNO fitter for securing shade to the base. KEY PRODUCT POINTS UL-listed. Bulb: 60 watt, type A (not included). Spot clean. Imported. 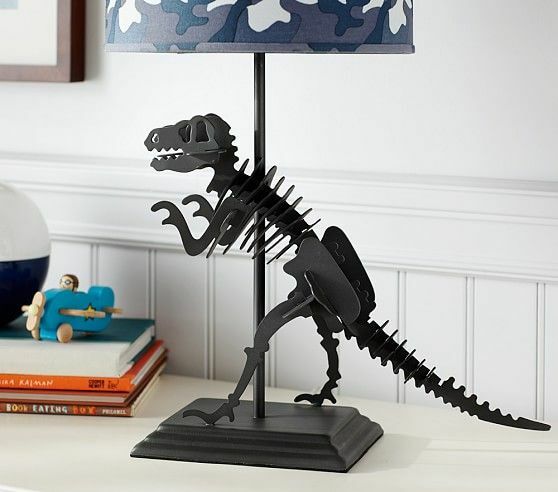 A daring dinosaur stands on this lamp base to add prehistoric style to your child’s room. DETAILS THAT MATTER Made of resin and iron. Finish is hand-applied in child-safe, water-based paint. On/off in-line switch on lamp cord. Features a polarized plug and clear cord. Shown with gingham shade; lamp shade is sold separately. All our shades are designed with an UNO fitter for securing shade to base. KEY PRODUCT POINTS 14.5″ wide x 14. 5″ long x 5.5″ high Dry UL-listed. Bulb: 60 watts, type A (not included). This sturdy, ceramic and iron lamp base brightens up their space with cool, geometric design. DETAILS THAT MATTER Made of ceramic and iron. Finish is hand-applied in child-safe, water-based paint. Shown with Sloane gold dot shade; Lamp shade is sold separately. On/off in-line switch on lamp cord. Features a polarized plug. KEY PRODUCT POINTS Dry UL-listed. Do not exceed specified wattage. Bulb (1): 60 watts, type A (not included). Imported.